Anthony Joshua (5-0, 5 KOs) tonight proved too powerful for his opponent. He was fighting on the undercard of Ricky Burns’ title fight against Terence Crawford. He blew away Hector Alfredo Avila (22-16-1, 14 KOs) within the first round, The Argentine posed no threat whatsoever to the Olympic gold medallist and Avila failed to land a shot throughout the round. Joshua’s last fight on February 1 ended when he stopped Dorian Darch in the second round. The Briton was hoping to get some rounds under his belt, but it wasn’t meant’ to be as Joshua disposed of his challenger within 2:14 of the start of the first round. Most thought that Avila would give Joshua some valuable rounds. After all, this is the same fight that went nine rounds with Dereck Chisora eleven months ago. However, Joshua kept measuring up some telling shots and kept powering away at his opponent. 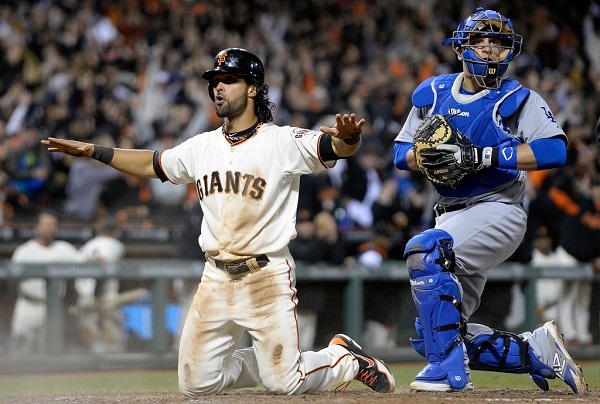 Once Avila was knocked down, it was clear that he didn’t want any further action in the fight and was counted out. Ricky Burns (36-3-1, 11 KOs) lost his WBO lightweight title to American Terence Crawford (21-0, 15 KOs). 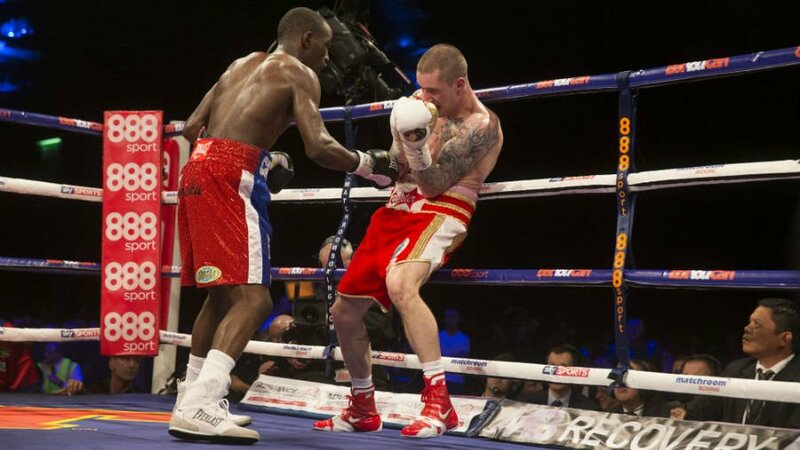 Crawford maintained his unbeaten record as he put on a dominant display in Glasgow in front of a sold out crowd. In the opening couple of rounds, neither fighter was willing to let their hands go, with most pinches missing the target. Crawford had more success in rounds 4 and 5 when he started to show more ambition, coming forward looking to force the issue against Burns. He was starting to edge forward on the scorecards towards the end of round 5: Ricky was starting to cover up on the ropes, with Crawford landing clean shots. It seemed almost as if his jaw injury was at the back of his mind. The first couple of rounds were hard to score, and both fighters looked even, but as the fight went on Crawford was looking like he was enjoying himself, bossing Ricky Burns in round six. By round eight Crawford had a couple of decent rounds to his name, building up a steady lead on the judges’ scorecards. The American had the momentum by this stage and was starting to dictate the fight. Crawford has been known to be a slow starter but then go on to work his opponent out in the middle rounds and this was exactly how it was unfolding. Ricky seemed to be fighting in the same manner as he did against Raymundo Beltran where the Scot had a broken jaw. Every time Burns tried to do something different to achieve some success, Crawford just came back, putting him in his place. The American, who came with so much build-up, lived up to the hype, beating Burns to the punch each time. It was a tough night for Burns. Burns simply allowed Crawford to build up too much of a big lead after round three to be able to get back into contention. In the final two rounds, Burns was basically unable to pin his opponent down. Each time Burns connected, Crawford would come back much stronger. The American came on really strong in the final round. Maybe his corner remembered the Beltran fight that many thought that Ricky lost but got the hometown decision. Crawford very nearly had Burns down on the canvas but the Scot was determined not to go down. Yet something had looked wrong with Ricky from the third round. He didn’t look like his normal self and kept covering up for most of the fight. Crawford took the decision 117-111 on one scorecard and 116-112 from the other two officials. All credit to Terence Crawford: he came over from Omaha, USA to challenge Burns for his WBO title. The American now returns triumphantly home with the belt. The better fighter definitely won this one.